Knowing how your AE firm compares to your peers is critical for evaluating the health of your business. Fortunately, regularly monitoring your firm’s performance doesn’t have to be a challenge for Deltek Vision users. 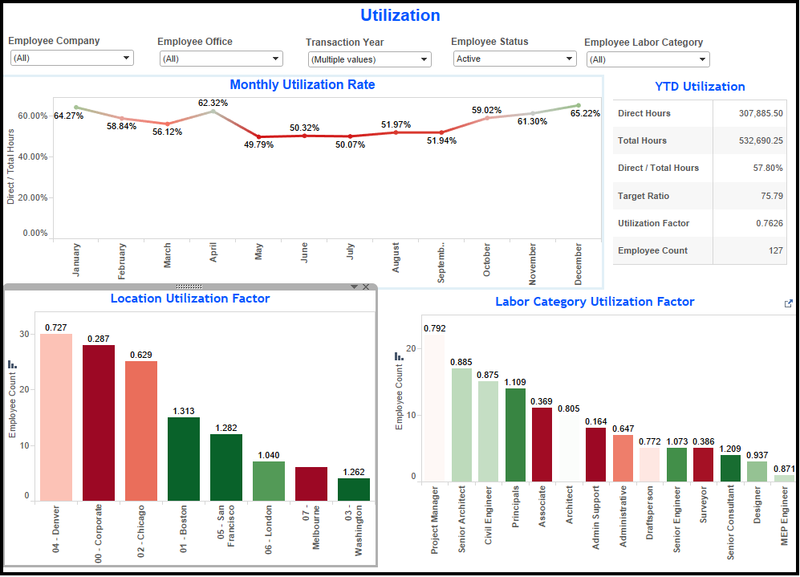 In this article, we’ll take a quick look at the background of the AE Clarity study and introduce the Vision Performance Management (VPM) interactive dashboard. What is the Deltek AE Clarity Study? Each year, Deltek works in conjunction with the American Counsel of Engineering Companies (ACEC), ACEC Canada and the Society for Marketing Professional Services (SMPS) to gather and benchmark key performance metrics for the AE industry. The study draws from over 250,000 data points provided by 386 US and Canadian AE firms of every shape and size. As the oldest and longest running study of its kind, Deltek AE Clarity report is the authoritative industry standard and the 37th annual Deltek AE Clarity Study is out and available for download. This report is a comprehensive summary of performance results for 2015. Additionally, these results include several key statistics that are easy to calculate and monitor, plus allows you to compare your firm’s performance against your industry peers. How Can Your AE Firm Use the Results? 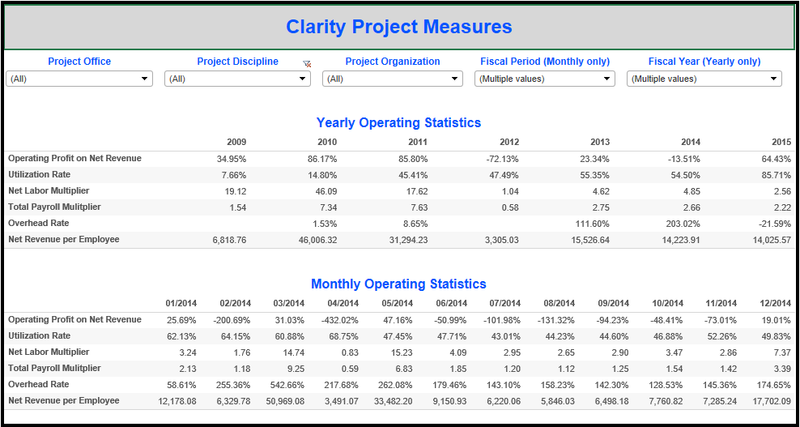 Some of these statistics can be calculated in Vision, but they are not encapsulated into one comprehensive report without extracting individual measurements into a summary table like Excel. However, the spreadsheet will need to be a manual update for ultimate presentation to firm stakeholders. Surely, there’s got to be an easier way, right? With Deltek VPM, these statistics incorporate easily into an interactive Vision Dashboard. As a result, executives can simply view these vital statistics on the screen and use built in filters to “slice and dice” the numbers as shown below. But wait, there’s more! With VPM, you also have interactive graphs to monitor performance. These graphs allow users to transform rows and columns into bars and colors. 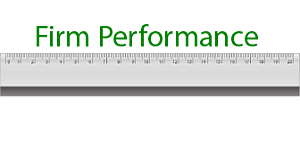 VPM will also enable users to see performance using visual metrics. In other words, Vision Performance Management is more like Visual Performance Management as demonstrated below. Staying ahead of the competition requires knowing where your firm matches up in terms of these key performance indicators. Luckily, VPM allows Vision users to see where their firm stands on a regular basis.